Is the privatization of significant areas of its economy, announced recently by RaÃºl Castro, the beginning of a retreat from socialism, as CubaÂs hostile critics suggest? CubaÂs economy is ailing, its government spokespersons admit. Losses to the economy caused by the massive damage to agriculture and infrastructure during the hurricane season of 2008 have yet to be made good. Tourist earnings are down, thanks to the global economic crisis. Most of all, chronic inefficiency in areas of state employment Â notably agriculture Â are officially admitted. Urgent remedial action needs to be taken to resolve this unsustainable situation if the striking social gains of the Cuban Revolution Â especially in the areas of health care and education Â are to be protected. The most outstanding change to be brought about by the reforms is that a million state employees will lose their jobs. This will happen gradually over the next three years as posts are created for them in the private sector. This reform is the agreed product of intense discussions between the government and the trade unions, along with other public organizations. So, workers know what is in store for them and know that they need not be unemployed. Jobs will be provided for many of them; many will remain in their present jobs, but not as state employees. At the same time, productivity is to be stimulated through the provision of bonuses and pay incentives. The present cap on pay levels will be removed. Workers will be attracted to the now unpopular agricultural and construction industries by the higher pay available in them. Other sectors to be expanded in the coming months are oil, biotechnology (in which Cuba is a world leader), pharmaceuticals, and tourism. The 250,000 licenses to be issued will authorize citizens to start their own business ventures. Arrangements have been made with the banks to ensure the provision of credit to such ventures. Self-managed and self-financing workersÂ co-operatives are to be given priority. The charitable face of the state will change. Employment can no longer be guaranteed: citizens will have to either search for it or create it. They will provide their own lunches, rather than have subsidized food from the works canteen. No longer will the company bus take them to work: they will have to find their own way there. Private enterprise exists already in Cuba. 823,000 Cubans now work in the private sector, most of them in co-ops. 114,000 of them are self-employed:Â taxi-drivers, tutors, car repairers, etc. 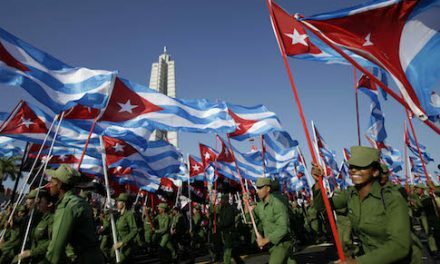 However, 84 per cent of the 5.1 million workers in Cuba are still employed by the state. The fact that some of them are idle much of the time has been a catalyst for change, as their salaries are an insupportable drain on the economy. The encouragement of private ventures has been seen by the Cuban government as a way out of this impasse. A reformed tax system will allow the creaming of a significant portion of the wealth created by this new private sector, thus enabling, for example, the constitutionally guaranteed free education and free health services to be maintained at high levels of efficiency. 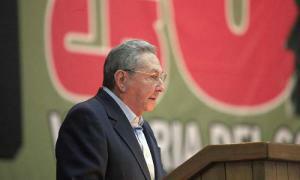 to provide the basic services that underpin CubaÂs social equality. But the reforms do mean that the role of the state has been changed, both fundamentally and permanently. Instead of the state being the manager of the economy, the shift of emphasis implied by the announced reforms means that in the future it will become its regulator. Regulation can be effected by retaining control over the investment decisions of the banks. If a particular project fails to correspond to the social aims and economic strategy of the state, the state Â through the banks Â will be able to veto its application for credit. Likewise, it will be able to direct credit to the private promoters of strategically desirable projects. This indirect approach to control of the economy in the wider social interest is as far from capitalism, whoseÂ economic essence is profit maximization, as it is from a Soviet-style command economy in which private initiatives have no place. 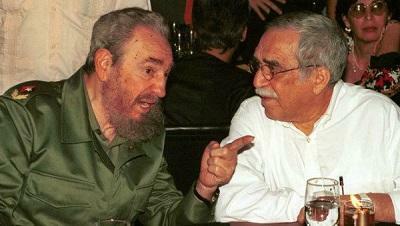 Some observers of the Cuban political scene commented that the reforms announced by RaÃºl Castro have more to do with a structural alignment of the economies of Cuba and Venezuela in anticipation of their impending integration than with any imagined retreat from the socialist values of the Cuban Revolution. Dr. TomÃ¡s Mac SÃ­omÃ³in, the author of the above, is currently on a lecture tour around Ireland speaking on "Cuba: Democracy in Action."